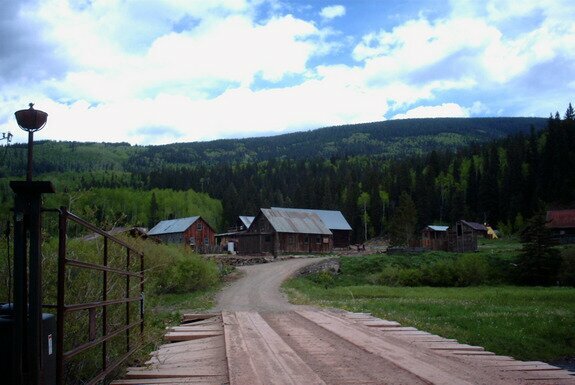 Established in 1885 and supported by several miles downstream, it was the most remote mining camp in the area. The population peaked around 100 until the 1897 construction of a stamp mill. In 1905 the population may have reached 300. A post office remained open off and on from 1892 until 1954. By 1918 Dunton was practically a ghost town. 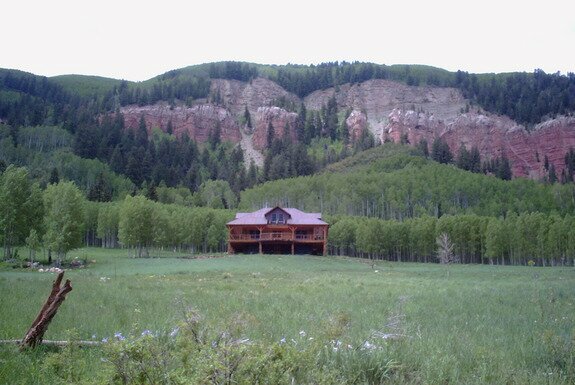 After the entire area being sold a few times, it became a dude ranch with hot springs until recently it has once again become private. This field is looking away from the main Dunton site. Despite the modern home, you can see mining remnants along the canyon wall. Date Taken: 2000:01:03 04:57:05 Want to use this image? See the More information tab. Date Taken: 2000:01:03 05:02:12 Want to use this image? See the More information tab.